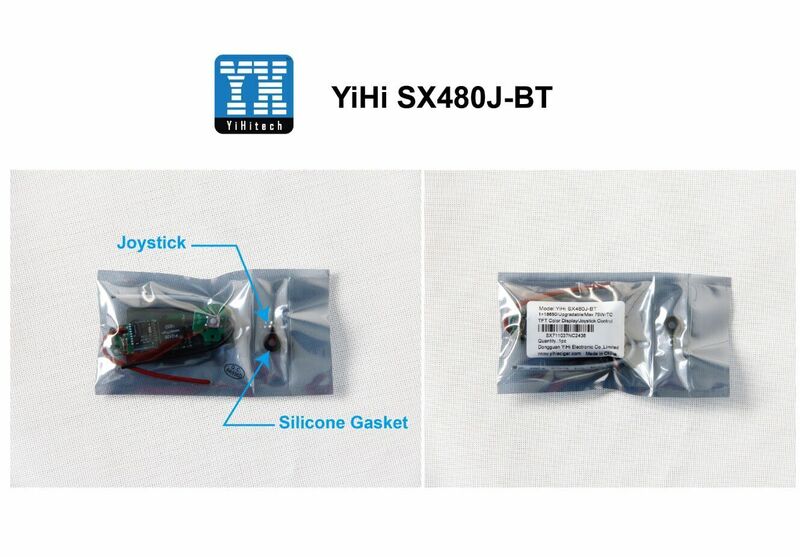 The newest and amazing chip from YiHi is the SX480J-BT. 75W - New large 0.96" ips color display, joystick control, temp or power mode. One of the most beautiful displays we've seen. They even include the button in this one with the silicone ring. For full specs, wiring, and drawings please click this link for the Files HERE. To turn the device Off: Click 5 times on the fire button to enter Menu and choosing "System Off. To lock the device: Press the fire button three times to lock. To unlock the device: Press the fire button three times to unlock. Pull the joystick left for 3 seconds to switch between Novice mode and Advanced mode. be adjusted by pulling the joystick up and down. b.Move the Joystick right to switch the flash memory from M1 to M5. 3.Move the joystick up to adjust the brightness of the display. 6. Press the Joystick for 5 seconds to reset the resistance. 1. Press the fire button 5 times, quickly, to enter the menu. 2. Press the joystick up or down to adjust all the functions in the menu. to adjust the settings by pulling the joystick up or down. 4.Pull the joystick left to return to the Previous menu or back to the main interface. Please download the SXi app from the App store (for free) and install in your phone. Please enter the menu of the device, switch to Bluetooth, press the joystick to enter and then press joystick. The device begins to pair. connected, the Bluetooth signal will turn white.